It was a great honor to be featured at The Reading Extravaganza in Laurens, SC. This free event organized by Michelle Caroll, an area teacher, offered free books, school supplies, food, and entertainment to area children. 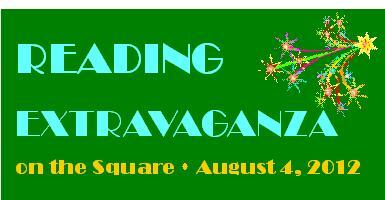 What a great way to get children excited about reading and the upcoming school year! To read an article with details about this event, click here. This entry was posted in Author, Author Talk, Book Signing, Free, South Carolina, Writer, Young Adult Fiction and tagged Laurens, Laurens South Carolina, Reading Extravaganza, South Carolina on August 6, 2012 by Andrea Cefalo.